The album contains a smorgasbord of song styles, from the string quartet accompanied ‘Eleanor Rigby’, through the nursery rhymed ‘Yellow Submarine’ and the Motown flavoured ‘Got To Get You Into My Life’, to the psychedelic landmark ‘Tomorrow Never Knows’. Following on from their previous release, ‘Rubber Soul’, issued 8 months earlier, The Beatles were giving the LP format a new relevance that would dictate the next stages of pop’s evolution. 50 years ago today people were marvelling about this new Beatles offering, literally awestruck by what those grooves contained. It’s an album that still sounds fresh, an evergreen if you like, and a testament to popular music’s desire to counter the highbrow notion of its disposability, and instead position itself at the vanguard of artistic expression. Superb listening experience, as you say evergreen, fresh; I was really taken by how contemporary the themes are within the album, the human condition, psychedelia, mysticism and the transcendence of time. The album resonated with me this time more than it had in the past, it has already been a huge favourite for many years. Different memories evoked from times and places associated with this album were flooding back. I had a brief reflection of a camping trip up in the lakes, sat in the car having a smoke and looking up at the most clear view of the night sky that I’d ever had (still hoping to get over to Snowdonia national park to catch the Milky Way soon). Times listening at University, at home with various folks over the years. Their music has been with me for most of my life all the way back to playing the only beatles recording in our house (greatest hits tape), over and over again through a small mono tape deck. Pretty much the same time I started the eight year stint on brass, not sure which came first, though it was the band where I sourced all my Beatles tapes until I got round to buying Rubber Soul through Abbey Road in 1997. This album reflects a time when the western world was re-discovering psychedelics in a big way. 1966 was the year that the authorities moved to criminalise LSD. With a couple of hundred millionths of a gram sufficient to have a significant effect it’s not surprising that this substance was around in abundance for quite some time, thank goodness it was. The emergence of a wider consciousness, environmentally aware; was important at this time. It seems to be happening again with the current environmental crisis and the increased prominence of psychedelic usage such as Ayahuasca or 1p-LSD (only recently outlawed). 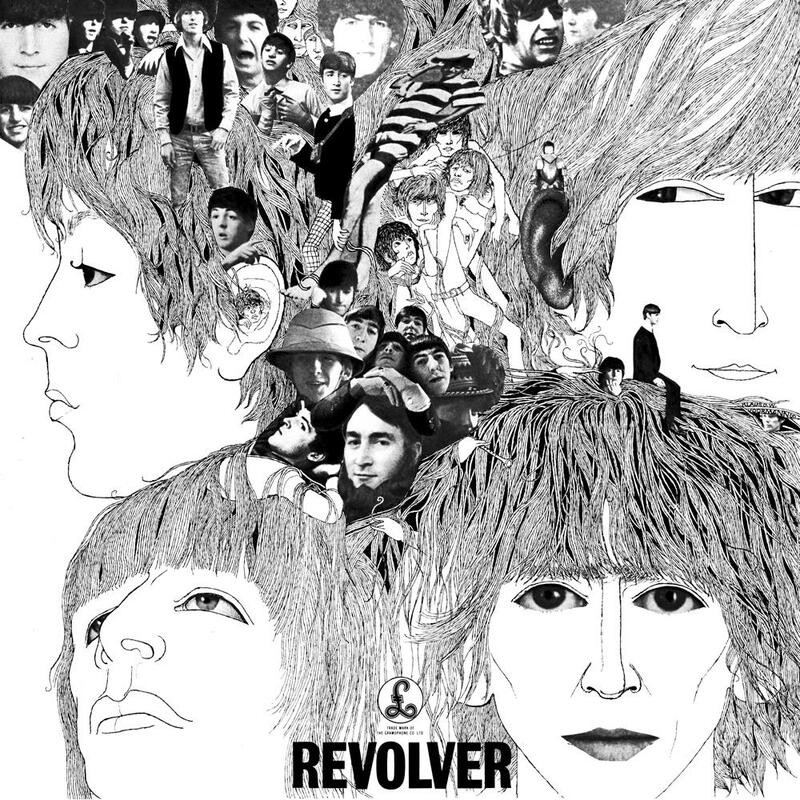 Revolver is the first Beatles recording that I can truly hear the connection with LSD and for me sets a marker for what was to come. Taxman; hearing Wilson and Heath, seemed very relevant to what is happening with Jeremy Corbyn at the moment. Wilson was ousted by a coup following a vicious media campaign (similar parallels to Corbyn). Corbyn himself is touted as being hard left wing though the truth is that UK politics has lurched so much to the right that Corbyn could have featured in Heath’s cabinet. This track also links to the last in that the Egyptians were the first to implement a tax system. Eleanor Rigby; beautifully composed reflection on loneliness. Such relevance to the world today as people become more immersed and yet more detached from each other/environment through technology. Trapped by the mundane and controlled elements of society, that lead to division, false exaggeration of self and loss of community. So many other reasons and causes of loneliness though the answers to resolve are universal. It seems some even choose loneliness as as an option in self preservation; we are a social animal though and it would be good if all could finally come together, to dissolve the manufactured and false barriers that separate so many. I’m only sleeping I found a nice juxtaposition to tomorrow never knows (floating upstream), almost like a non-acid mental state; a notion on the co-existence of past, present and future. Love To You, the first on that Eastern/ancient vibe; loved it. Here There & Everywhere; raw emotion hearing this, have fallen in love to this song a couple of times. Links with for no one too. Yellow Submarine; takes me to the remarkable film (watched it the other week too), such a joy to watch. She said, she said; glimpse into the psychedelic world of the Beatles. Heard John Lennon talking about this and how a fellow tripper was talking about death. Ego death, Tibetan Book of the dead, Book of Thoth. To me the song also has a reflection on being a kid and similar feelings when having an open view on the Universe; some sadness on being surrounded by a psychotic controlled populous. Your Bird Can Sing; join up with those who think the same (rescued a baby bird that had fallen from it’s nest yesterday). For no one; timely; tragedy of love lost and lingering optimism. Got To Get You Into My Life; I’d never picked up on the Mow-town link, can definitely see it now. Writing you from San Francisco. We saw you at Sunset Campout this last year and had a blast. Also at Monarch the year before. Somehow 5 or 6 years ago we learned of you and started listening to your mixes on Soundcloud when working construction. A good motivator to say the least. I’m an audiophile myself, with around 2000 LP’s, mostly rock, jazz and electronic and I am, of course, a big Beatles fan. I did a Google search Greg Wilson Tomorrow Never knows because I remember a mix of that song that you did but I can’t seem to find it anywhere. Anyway, great article. I enjoyed reading it and if there is someway you can direct me to that mix I would love to hear it again. Thanks dude!